Building a superhuman – right, wrong or just science fiction? Using stem cells to regrow bone tissue; discovering how eating salmon during pregnancy can reduce the risk of allergies and cardiovascular disease in children; and making novel sensor devices to measure the environment in the womb are just some of the amazing discoveries from the Institute of Developmental Sciences (IDS) at the University of Southampton. 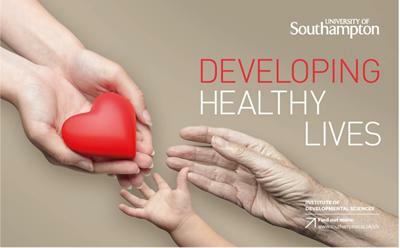 For the past decade the research carried out by IDS scientists has changed our ideas about the importance of early development and its impact on our later health. Today (Wednesday, 8 November) the IDS will celebrate 10 years of research since it was opened by HRH The Princess Royal, with a special event that discusses the concept of ‘Building superhumans’. The format is a Question Time-style event where a panel of medical scientists and celebrity scientists will debate with school children, medical students and the general public, the implications of recent discoveries in the field of developmental science. Will there ever be a superhuman who can avoid illness? Would it be ethical to develop a superhuman? Who should decide? These are just some of the questions to be discussed along with the state of science which surrounds them. Jamie Raftery - The Holistic Chef. Members of the public are welcome to attend the free event but should register beforehand to reserve their seats. The debate will follow a scientific conference which brings together academics from the IDS and their colleagues and collaborators to review the Institute’s achievements and look towards its future impact. Professor Mark Hanson, Director of the IDS, said: “We are delighted to welcome such distinguished guests to our special event and I am sure it will be a lively debate on one of science’s most prominent questions at the moment, not just in science fiction movies but in real life. To mark the special anniversary the IDS held an open day for students from local colleges and sixth forms who spent the day in laboratories conducting experiments, including measuring big genomic data sets, skeletal muscle strength, physical activity and brain physiology and stem cell growth. The day culminated with the students talking to researchers and University medical students to come up with questions that they will put to the celebrity Question Time panel on the 8 November.